Stunning mountain range necklace in sterling silver. 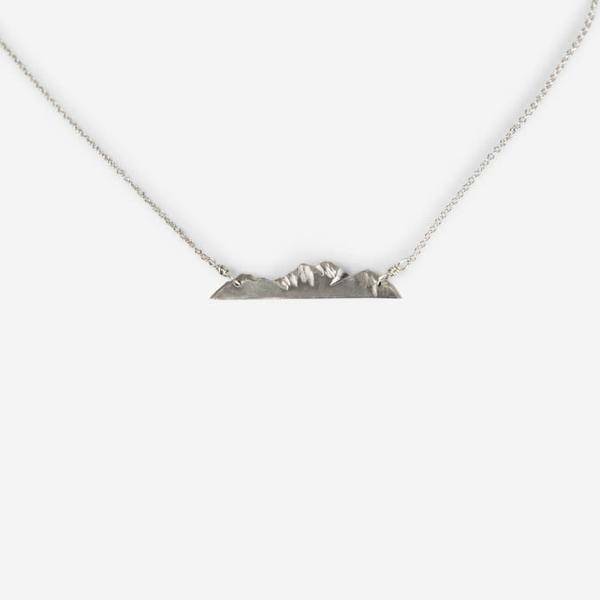 Add a bit of alpine love to your wardrobe with this small mountain range necklace. Made with sterling silver and hung on an 18" chain, the pendant is around 1" long. Part of the West Coast line of Loops Jewellery, made in Victoria, BC. See also Small Mountain Peak Studs.